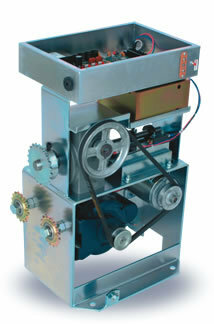 Designed specifically to be the strongest, most durable DC gate Operator in its class. Allomatics long awaited SL-100 DC has arrived. The SL-100 DC utilizes an industry first brushless motor technology (no maintenance, high torque, and smooth quiet operation), total in house design, programming and construction. Equipped with a built in loop detector rack and enough power to operate all accessories on battery power. Manufactured with a heavy duty frame and parts that are made to last a life time, plus our industry leading warranty.